The majority of studies show that eating breakfast is good for helping you lose and maintain a healthy weight, but that’s only if you eat the right breakfast. Here are three breakfast mistakes to avoid and some of our favorite breakfasts to help you lose lbs. There’s a variety of breakfast foods that are really nothing more than desserts in disguise. These include pancakes and waffles; chocolate-flavored cereals, muffins, sugar-rich flavored yogurt and doughnuts. These treats do nothing but raise your blood sugar levels and then spike your hunger and cravings for more sweets. Cereal and milk with juice may be an iconic breakfast but it’s not the best it you want to lose weight. Cereal breakfasts are too high in carbs and don’t provide enough protein to keep hunger hormones in check. As a general rule, look for breakfasts that provide about 20 grams of protein. 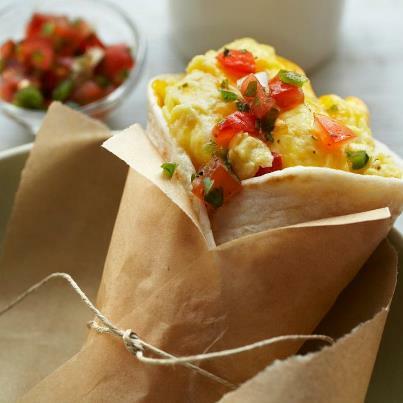 Use our favorite protein-rich breakfasts to help guide your choices. Reference: Am J Clin Nutr. 2013 Apr;97(4):677-88. doi: 10.3945/ajcn.112.053116. Epub 2013 Feb 27. NHANES, What we eat in America, 2009-2010.